Supplied with a SANAS accredited calibration certificate. 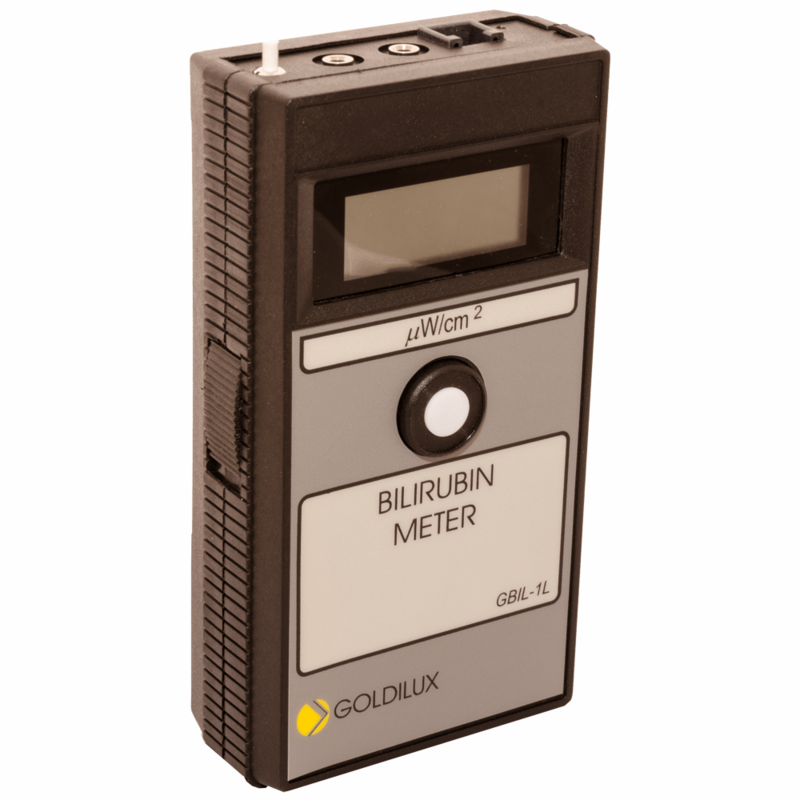 The Goldilux range allows you to choose the lightmeter and appropriate external probe to meet your requirements. The Autoranging Lightmeter has no sensor and is used with the separate probes. 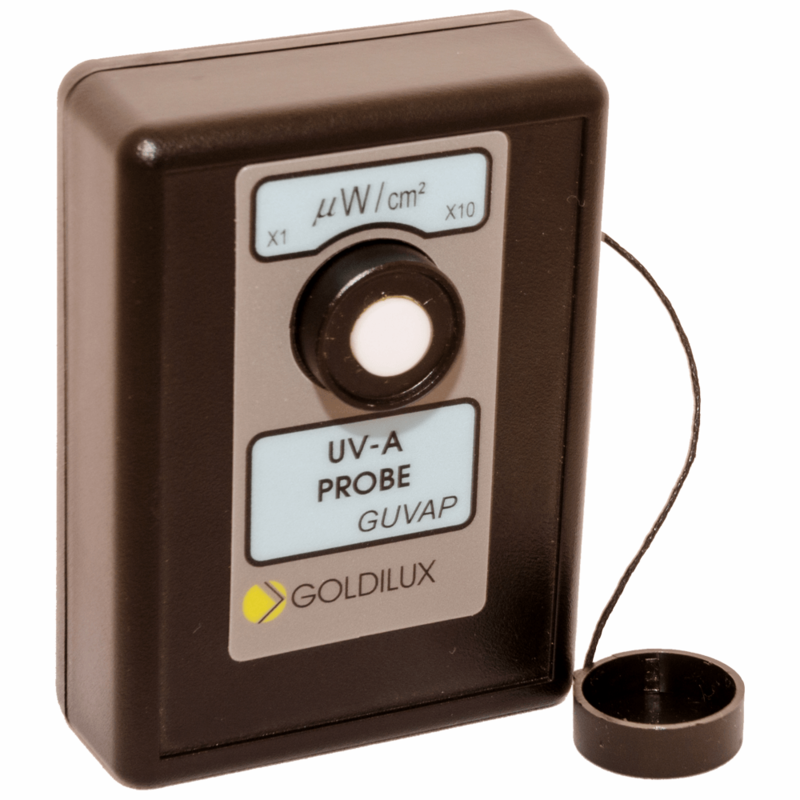 The three probes allow the measurement of UV-A, UV-B and UV-C light sources. 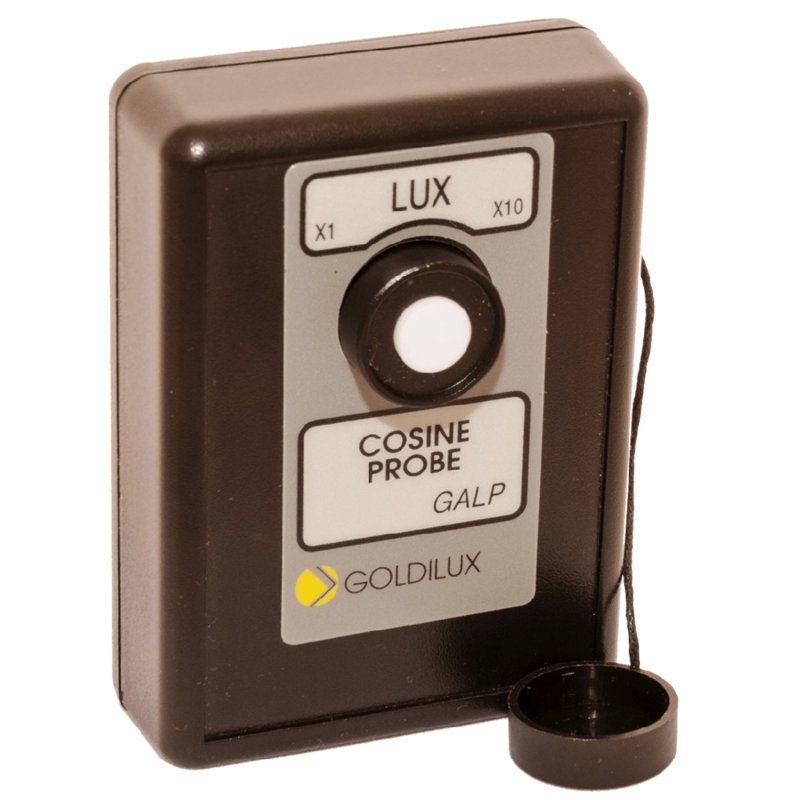 Probes are ideal to measure light that is out of reach or that is harmful to exposure. 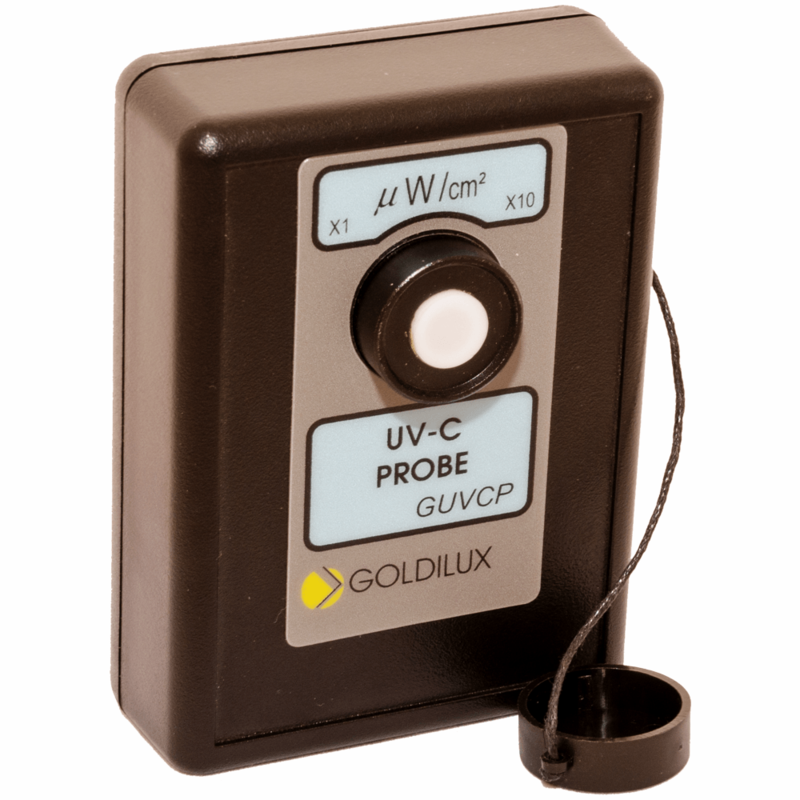 As UV-A light is the least dangerous in the light radiation spectrum light measurements can be taken without using a probe. All three probes can be used with the Lightmeter. Precaution when measuring light is always advised. The probes can be used with one of the lightmeter’s above. There are three options that interchange with the main unit. 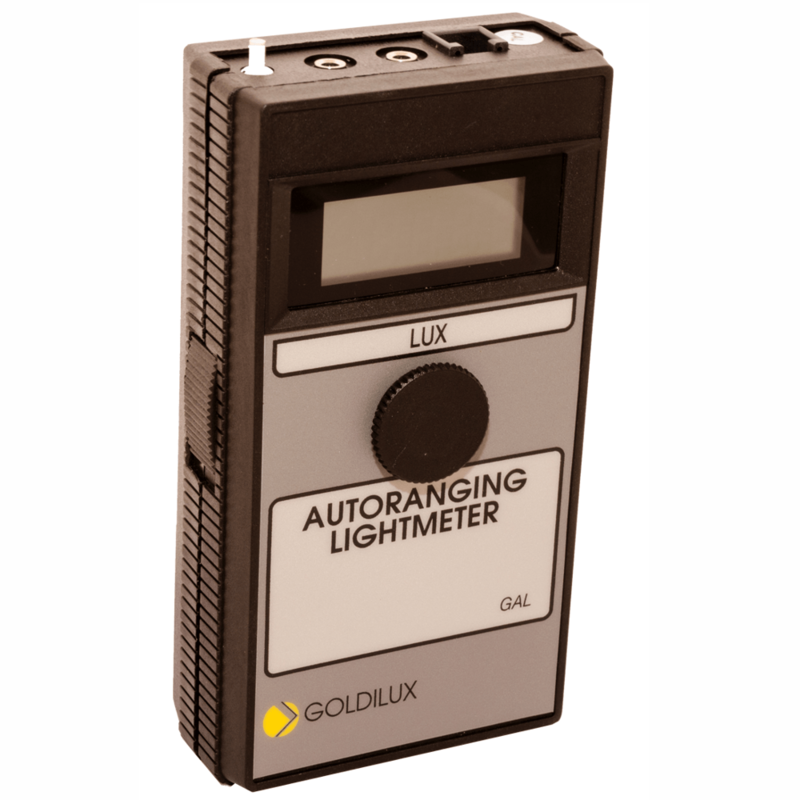 This Digital and Auto-ranging Light meter is the most stable, robust and reliable light measuring instrument suitable for most laboratory and field uses. 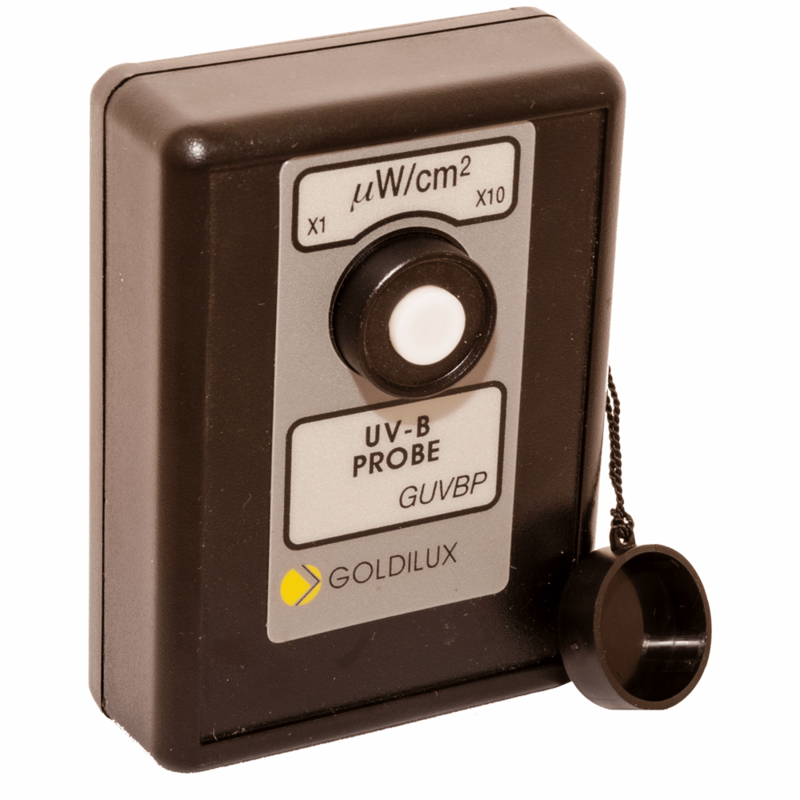 Combining a probe for visible light and UV-A meter - or vice versa (using a visible light meter with a UV-A probe)- will result in a most effective measurement system for visible and the UV-A spectral range. 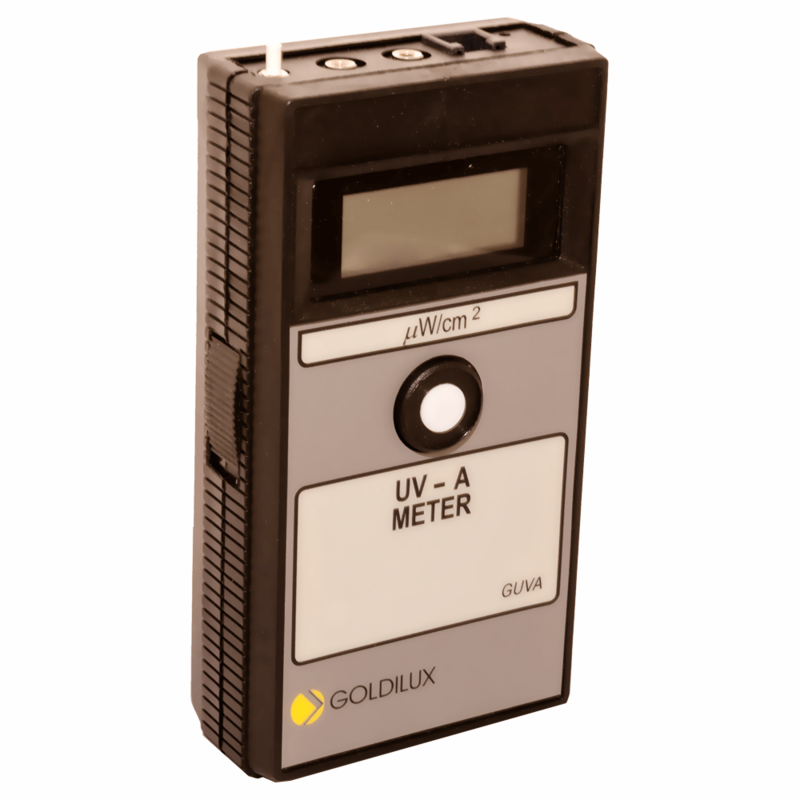 A UV-A meter can also be paired with a UV-B probe and a UV-C probe. Alternatively a Display (no sensor) can be used with alternative connection of UV-A, UV-B or UV-C probes. UV-A light sources may also find use in causing fluorescence on bank notes to check if they are legit or may be applied for curing of glues and resins in certain manufacturing industries. UV-C sources must be out of line of sight. Measurements are best with a meter system (consisting of the probe and a display) to check that the lamps are emitting the short-wave radiation at a wavelength of 253.7 nm standing at a distance. The probe - display system allows measurement at a distance of 3 m as a standard. The flexible probe-meter architecture allows the most versatile combination of system measuring visible Light and UV-A radiation. The probe can be plugged into either a display or a meter for multiple sensor measurements.